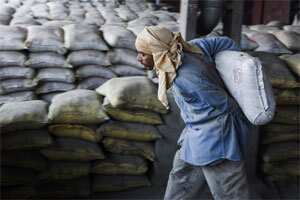 Amid the gloom and paranoia in equity markets, the cement sector seems to be surprising positively. First, frontline cement firms led strong double-digit profit growth for the September quarter over the year-ago period. And now, a pan-India rise in retail cement prices is good news for the current quarter. The three large-cap stocks— ACC Ltd, Ambuja Cements Ltd and UltraTech Cement Ltd—have outperformed the benchmark Sensex of BSE over the past six months. But the last few trading sessions saw these shares tumble as the sector outlook remains uncertain. On the other hand, macroeconomic data indicates a slowdown in both consumption-led demand and investment. According to the Centre for Monitoring Indian Economy, the new projects announced during the September quarter have contracted by 50% year-on-year. The obvious fallout of this lacklustre activity is reflected in poor growth in demand offtake for cement at around 3-4% during April-October compared with the year-ago period. The most likely scenario is oversupply for the next 12-18 months. The increase in cement prices and net profit of most firms during the September quarter are perhaps on a relatively low base of the year-ago period. That said, costs affecting the sector adversely are on the rise. Compared with the preceding quarter, both average realizations per tonne and operating profit per tonne declined. Operating profit was hit by higher costs, the surprise elements being raw materials like fly-ash and gypsum, although energy and freight costs increases were in line with expectations. Analysts expect that cost-push factors such as higher imported coal prices due to the rupee depreciation and higher railway surcharge could hit profits even in the December quarter. Though, it’s possible that the southern firms—India Cements Ltd and Madras Cements Ltd—could register better operating profit margins in the current quarter, as in the preceding quarter, if prices hold firm and despatches improve. So far, they have been able to maintain production discipline to keep prices up and maintain profitability. From an investment perspective, the sector as a whole would be attractive only when the domestic investment cycle displays a sustained turnaround.